Two men have been arrested in Londonderry in connection with a shooting incident in the Central Drive area of the city on Monday, 27 March. 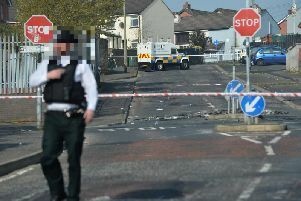 The men, aged 36 and 49, were arrested in the city this morning and have been taken to Musgrave Serious Crime Suite in Belfast for questioning. Detectives are continuing to investigate and are appealling to anyone with information to contact them at Serious Crime Branch on 101, quoting reference number 1169 of 27/03/17. Alternatively, information can be given anonymously to the Crimestoppers charity by telephoning 0800 555 111.